Start taking classes at Flex Fusion Studios and other studios! 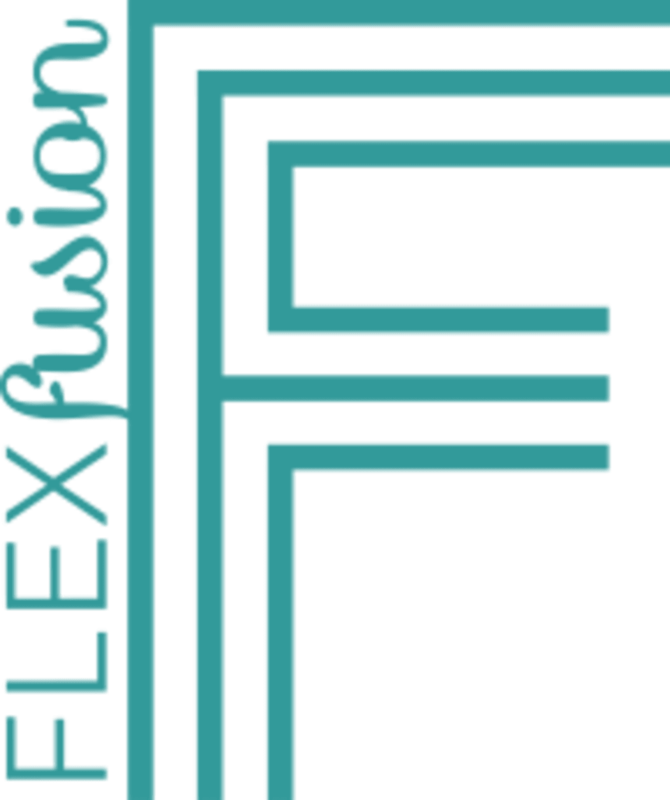 Flex Fusion is more than a fitness studio. They are a supportive community who pull together to reach personal goals and foster friendships along the way. Their custom-built studios combine the benefits of barre, yoga, TRX, and boot camp so you don’t have to run all over town to get your workout in. Plus, their classes fuse together to give you the most well-rounded workout in the Bay. Whether you’re looking to sweat it out in a cardio boot camp, sculpt and tone in barre, build strength in TRfleX or stretch it all out in yoga, Flex has it in one place. Get ready to flex your limits, challenge your goals, and meet your new workout buddy in their supportive, community-centered environment! They encourage everyone to bring a hand towel and a water bottle. Sticky socks are required for barre- there are rental socks available as well as socks for purchase. Gym shoes are necessary for bootcamp and TRfleX, but bare feet are great for yoga. Bring a yoga mat for Pilates and Yoga classes- everything else is provided. Rental mats are available if you need one. They have lockers onsite so your belongings will be safe. Parking is available in their underground garage- it's located at the other side of the building. Otherwise, feel free to park on the street or in the parking lot. We are exactly on the corner of S. Winchester and Rincon, in the Merrill Gardens Complex. Helen was great. The class went by fast and was a great way to start my Sunday morning. It was my first time at this studio. It’s nicely laid out and spacious. So I’m use to the instructor doing the class with everyone and Camille didn’t. Not sure if that’s the norm but it felt disconnected for me. I got a good workout in so I guess that’s the point. Might try again to see if that class was not the norm. Good, fun class with a variety of exercises. Super relaxing class where you’ll stretch and knead into your body to release built up tension. Jenn was nice, helpful, and had a great attitude and presence that really added to the positive vibe of the class. Hope to come back again! This class was upbeat and fun. You will definitely sweat and be challenged! Nikis a great instructor filled with positive energy and experience!